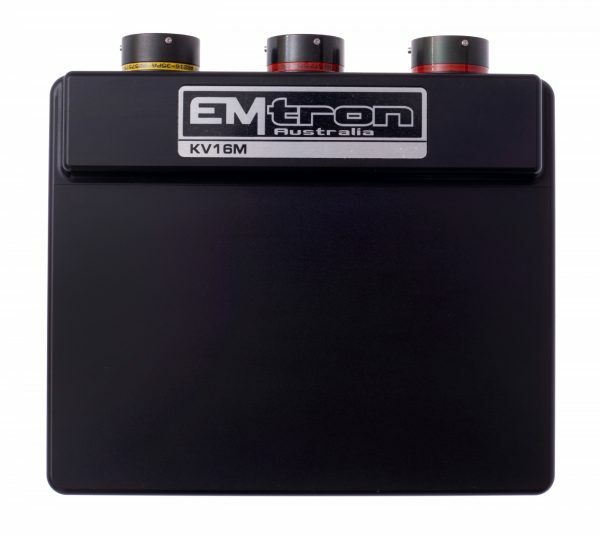 The KV16M can control both modes of injection: Saturated and Peak & Hold up to 16 channels. The KV16M supports up to 12 Ignition channels. The KV16M has 14 Digital Inputs providing Frequency and Switched based inputs into the ECU. 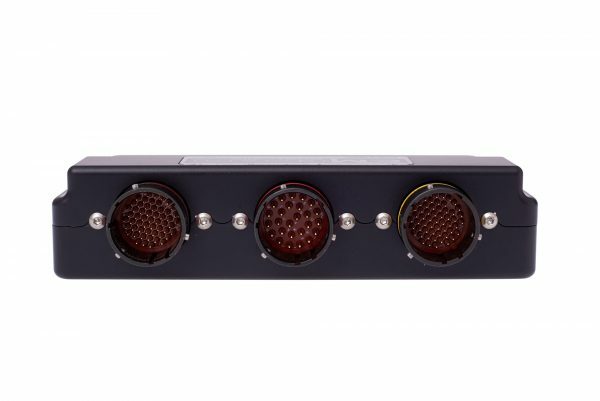 These inputs have a high level of configurability allowing easy interface to all sensor types. 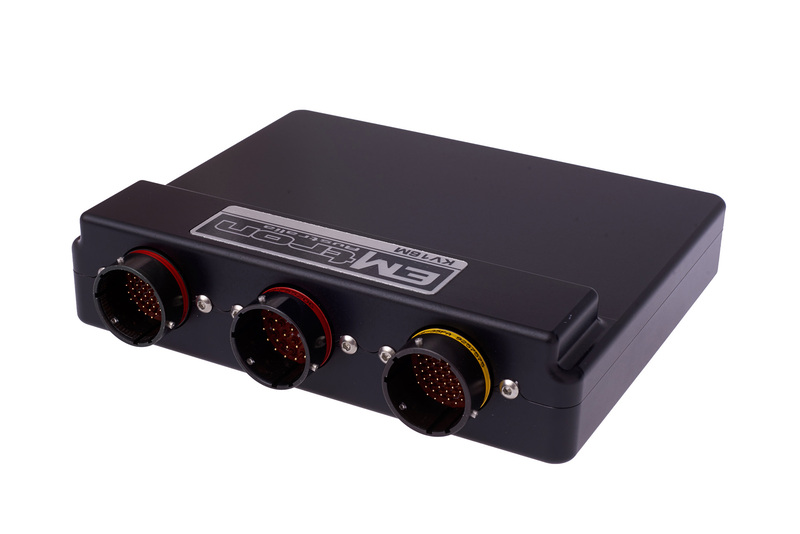 Digital Inputs 1-8 can be used to measure frequency, while all channels can accept a switched input. 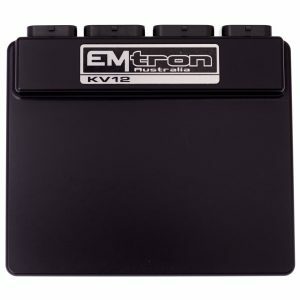 The KV16M has 16 Auxiliary Outputs with a wide variety of driver types to suit all applications. These drives are suitable for controlling relays, resistive and inductive loads, stepper motors, DC servo motors and electronic throttles. All outputs are short circuit and over current protected. 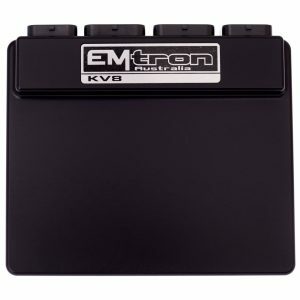 The KV16M has 24 analog input channels sampled using high resolution 12-bit analog to digital converters with a 0.0 -5.000V input range. 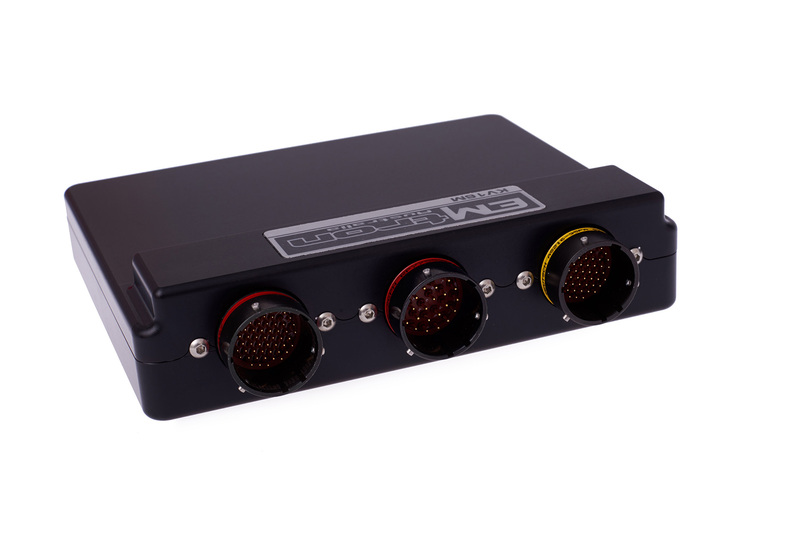 All channels support ratiometric and absolute 3-wire based sensors such as MAP, Throttle position(s) and pressures etc. Channels 7-12 also support thermistor 2-wire sensors such as engine temperature, inlet air temperature with switchable 1k ohm pullup resistor control. The KV16M has regulated supplies that are designed for the harsh automotive environment. They include protection from reverse battery, jump starting transient voltage surges and automatic shutdown when the output is shorted to ground.